If 9/11 are the numbers of terror and despair, then 3:16 are the numbers of hope. Best-selling author Max Lucado leads you through a word-by-word study of John 3:16, the passage that he calls the "Hope Diamond" of scripture. The study includes 12 lessons that are designed to work with both the book and the DVD for a multi-media experience. 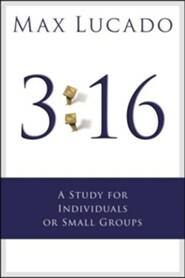 If 9/11 are the numbers of terror and despair, then 3:16 are the numbers of hope. Best-selling author Max Lucado leads readers through a word-by-word study of John 3:16, the passage that he calls the "Hope Diamond" of scripture. The study includes 12 lessons that are designed to work with both the trade book and the Indelible DVD for a multi-media experience. 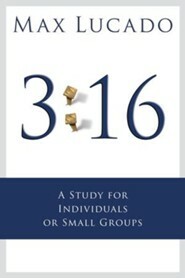 I'm the author/artist and I want to review 3:16: A Study for Small Groups - eBook.